to build a National Database of Road Traffic Collisions involving deer in England, Wales and Scotland. to assess factors associated with deer RTAs, and aspects of deer behaviour and management relevant to enhancing measures aimed at preventing such accidents. to ascertain the level and monitor changes in deer related traffic collisions in differing regions of Britain, and explore underlying differences in frequency of accidents. to determine the key factors associated with increased frequency/risk of accidents in differing parts of the country and in relation to factors such as e.g. 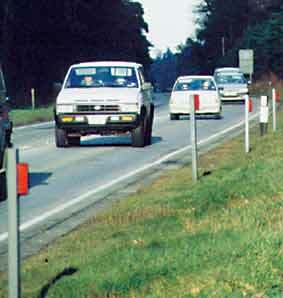 road types, deer species involved, traffic volume, presence/absence of differing types of mitigation and other influencing factors (daylight, time of day, roadside habitats, fencing, road signs, type of vehicle involved etc.). to assess likely levels of deer accident risk for different areas and/or roads through analysis of past accident records in relation to deer distribution, habitats and traffic density, and use of GIS mapping and computer modelling where appropriate. to increase driver and public and awareness of deer related traffic collisions and how to avoid them. to act as a pilot and evaluation for a longer-term deer RTA monitoring program, and its possible extension to encompass RTAs with other wildlife. 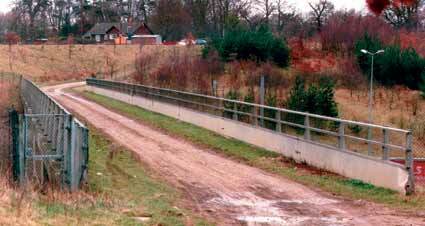 How do deer (and road users) react to road-side deterrents such as optical and acoustic warning reflectors, different types of fencing or other barriers, under and overpasses? How does such behaviour differ between the main deer species present in England ? Is the deterrent effect of roadside deterrents enhanced if positioned to emit signals across the road rather than into the verge, or with / without regular cutting of roadside vegetation ? For update on these aspectes see Conference Presentation by J Langbein "Use of remote video surveillance to investigate deer behaviour in relation to wildlife deterrents, roads and vehicles [pdf download] "
How, where and for what reasons do deer tend to cross roads and traffic, and how does this differ between species? How does deer population control impact on traffic accident risk ? Can drivers be alerted more effectively to the risk that deer may be about to cross (other than through means of standard road signs) ? - For example through temporary signs at times of increased risk; or Variable Message Signs (VMS) such as used on trunk roads to forewarn drivers during seasons of heightened accident risk or high deer risk road sections. Would Fallow and Muntjac use this ? ...Find out at this Youtube clip !